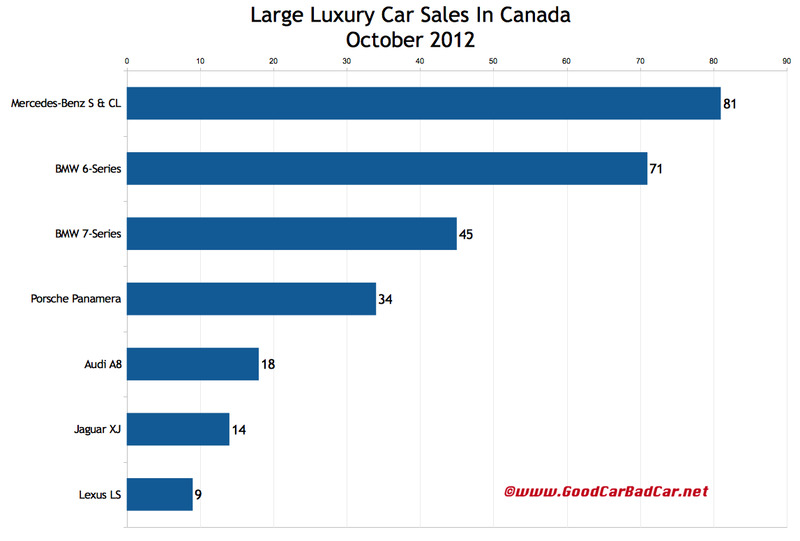 Land Rover Canada sold a ridiculous number of Range Rovers in October 2012. Though not the brand’s most popular model – that’d be the Range Rover Sport – Range Rover sales did climb 239% year-over-year. Compared with September, Range Rover sales shot up 286%. Jaguar-Land Rover sold approximately three Range Rovers for every Jaguar sold in Canada last month: XF, XJ, and XK combined. The Range Rover was nearly twice as popular as the whole Cadillac Escalade family and outsold the Infiniti QX56, Lexus LX570, and Lincoln Navigator combined. However, the Mercedes-Benz GL-Class (with its G-Wagen sibling) was up 11% in October to 196 units, up 84 on the Rangie. Will the next Range Rover be able to keep up this kind of monthly Canadian volume? Almost certainly not. The offers on leftover 2012s won’t initially be available on the all-new model. Jaguar sold just 14 XJ sedans in October. That’s down from 18 at this time last year and a yearly high of 28 in March. Mercedes-Benz sold nearly six S-Class sedans (and CL-Class coupes) for every XJ sold in October. The XJ did sell more often than the Lexus LS last month. Detailed October, year-over-year, and year-to-date sales figures for a bunch of large luxury cars and SUVs are visible in the tables after the jump. Click either of the two accompanying charts for a larger view. We also post the BMW 6-Series with sports cars like the Porsche 911 and Mercedes-Benz SL-Class. As usual, historic brand and corporate totals (monthly and yearly going back to 2004) are now available through the dropdown menu at GCBC’s Sales Stats page, along with results for more than 260 currently sold vehicles. This is where you discover Toyota’s 28 October Land Cruiser sales. But Toyota only sells cab and chassis Land Cruisers for off-road and mine use in Canada. 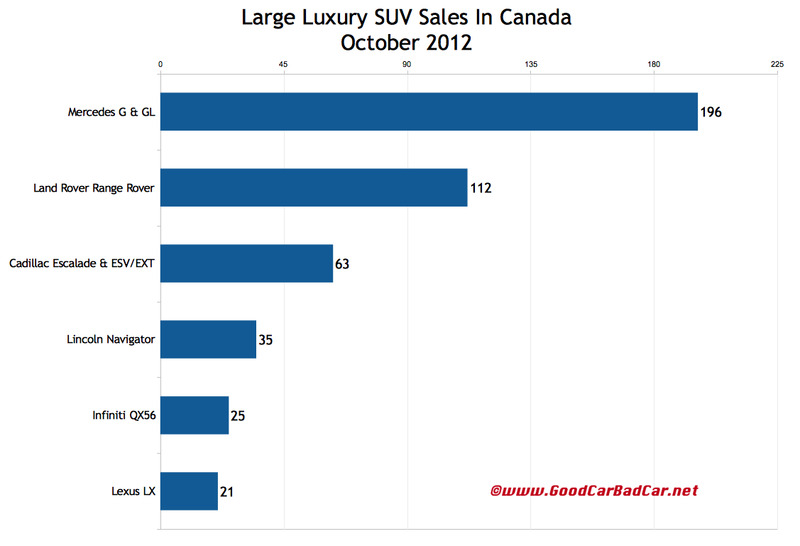 So the visible Land Cruisers are Lexus LX570s, 21 of which were sold in Canada in October. The $87,500 LX costs 8% more in Canada than it does in the U.S. 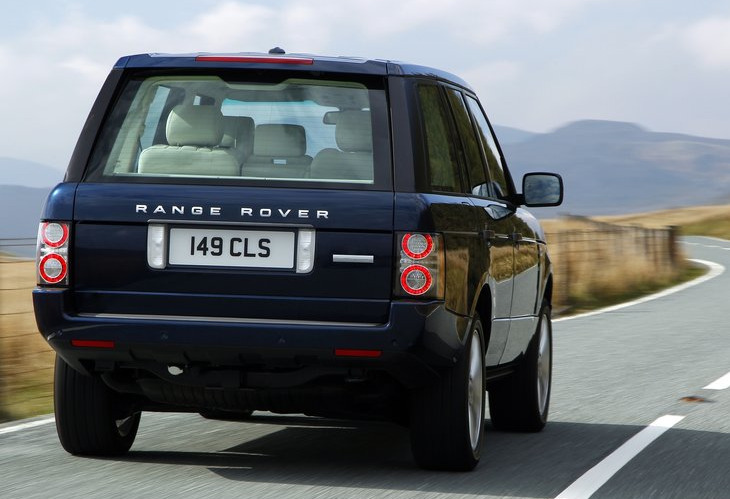 This post was corrected at 3:52 PM AT on 11.15.2013 with updated information from the regarding Land Rover sales.